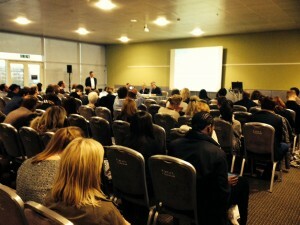 “For many millennials, life is like an app; there’s always a new version around the corner,” explained WYSE Travel Confederation’s David Chapman to those attending Wednesday’s session on “understanding the millennial traveller” at WTM in London. To help highlight young people’s flexible approach to life and travel, David was joined by three panellists: Carl Michel, Executive Chairman at Generator Hostels, John Firth, UK and European Sales Manager at WAYN.com, and Anthony Stone, Global Campaign Manager at STA Travel. David began by introducing some of the key findings from WYSE Travel Confederation’s new Millennial Traveller report, which was launched to coincide with the presentation. One important finding of the research is that travelling to interact with locals is an experience that not only satisfies the aspiration millennials have for embarking on personally fulfilling experiences, but also feeds their desire to continue travelling. Having presented some of the report’s main findings, David took the opportunity to ask the key industry players on the panel for their insight into how to develop effective ways to engage with young travellers. Speaking of the key things that travel suppliers can do to tap into this market, Anthony Stone said: “One of the biggest issues in travel is around the idea that one size fits all. The millennial demographic is quite broad so STA Travel’s approach is to break this group down into subsets. After all, what an 18 year old needs is going to be different from someone in their thirties.” He went on to explain that STA’s multi-channel approach can ensure they are able to deliver the right information to different segments, but that reviewing their social media strategy every quarter and adapting content accordingly was also important. When it comes to how best to create a dialogue with youth consumers, John Firth said: “We are seeing that lifestyle is one of the biggest drivers, whether that’s to do with things they like doing or culture. That’s where we are seeing the most engagement. When it comes to the biggest missed opportunities, Carl explained that most of the millennial generation have a desire to share and so there was a business need at Generator to create the photo opportunities and events to enable them to have more shareable moments. He added: “When it comes to designing our hostels we create lots of spaces to chill out and try to create the right environment for our millennial guests to meet other people.” These events include inviting in fashion companies, artists and musicians to bring local people into the property so that guests can, in turn, find out more about the city, get a sense of place and also inspire user-generated content. “The opportunity for people to meet and share content can certainly happen on its own but it doesn’t always happen that way. It’s important for businesses to know that, in creating events, they can provide the catalyst for these kind of things to happen,” Carl concluded. When it comes to spending, over half of the participants in the broader millennial survey spent more than EUR 1000 for their whole trip, which is 11% higher than for the average international trip, according to UNWTO. For Chinese millennials, this increased to an average of EUR 1,258. However, there is further good news for businesses as low-cost luxury as part of an overall affordable experience is something important to youth travellers, with hostel guests potentially spending GBP 25 on a bed but GBP 50 on a theatre ticket. As for how behaviours might evolve in the future, one message from the session was that it’s important to start looking at the generation following millennials as today’s 15 and 16 year olds are just a few years away from being the target market. How often do you check your mobile phone? 43% of millennials told us that they check their mobile every 5 minutes. Are you equipped to effectively engage with millennials and fulfill their travel needs? 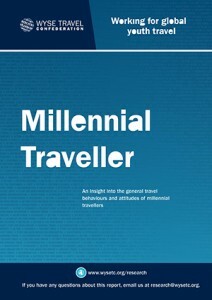 Read the Millennial Traveller report to tune up your knowledge about young travellers and to identify opportunities to connect with their current travel motivations and habits. To view our full range of research covering different aspects of the youth, student and educational travel market, click here.